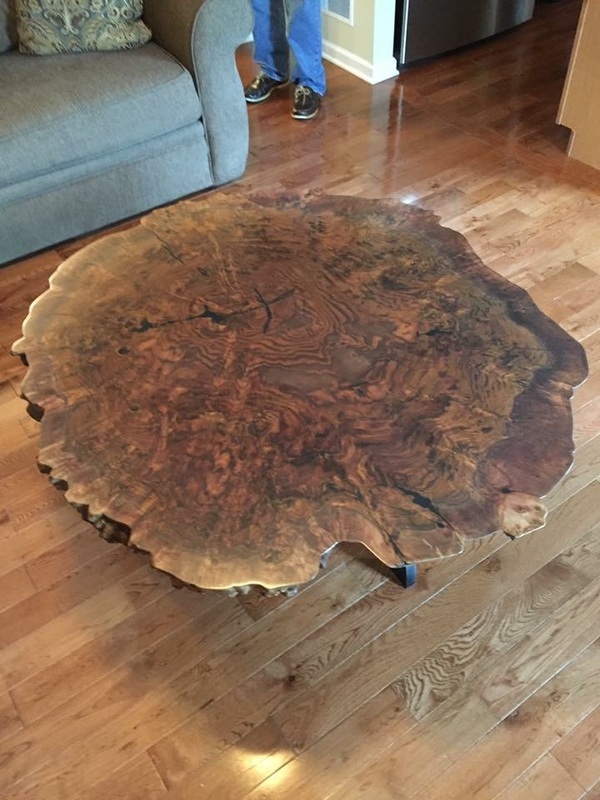 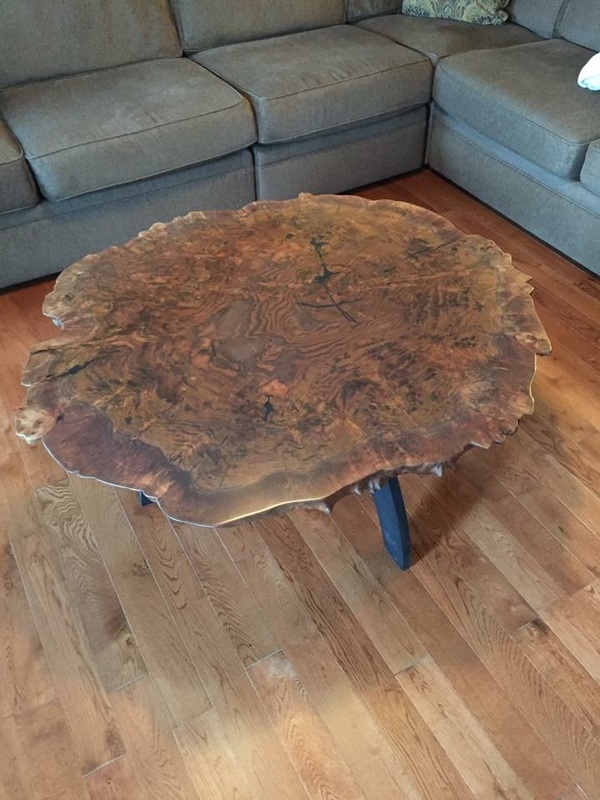 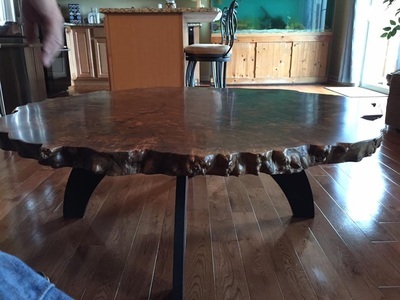 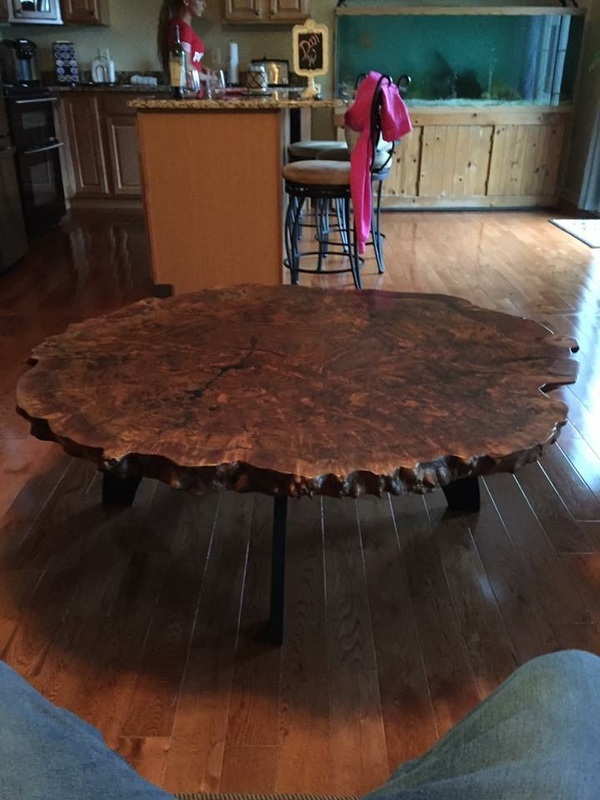 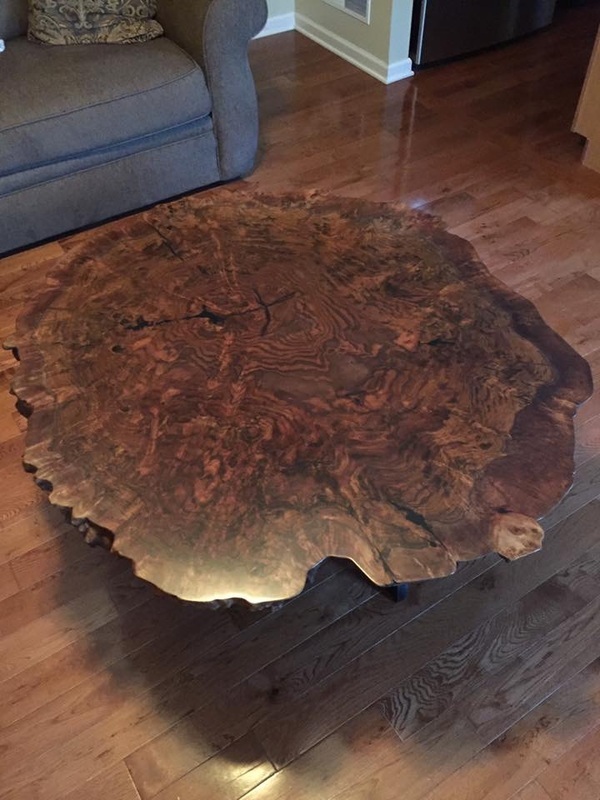 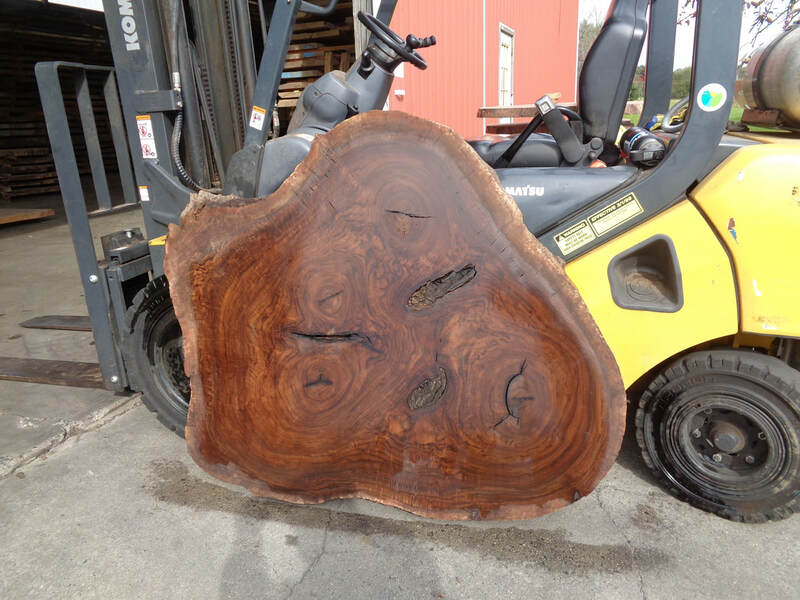 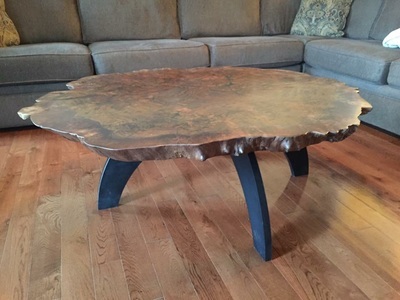 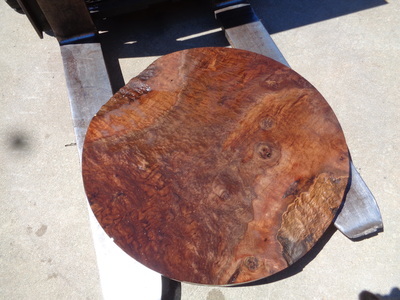 The table below was made from one of these round burls. 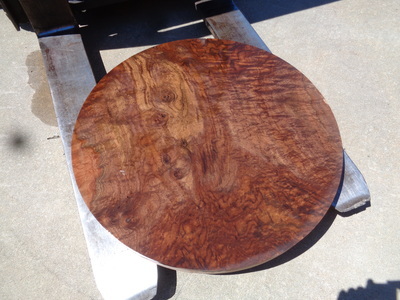 The round table slabs below are Claro Walnut. 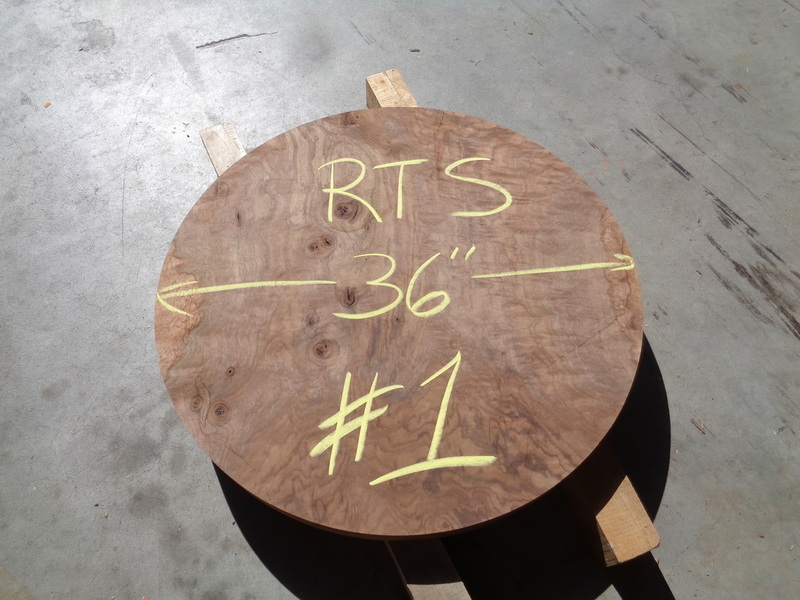 They have been flattened on a CNC machine and sanded. 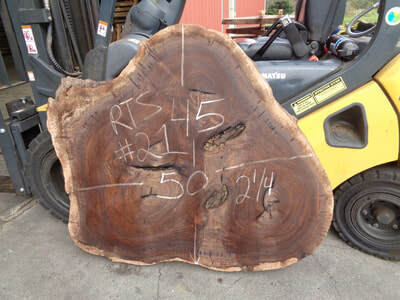 ​The Round Table Slab Below Is 36" In Diameter 2-1/2" Thick And It Has Been Flattened. 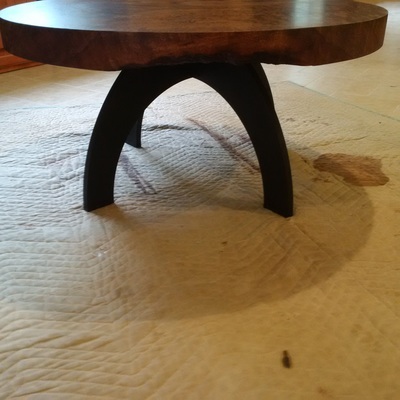 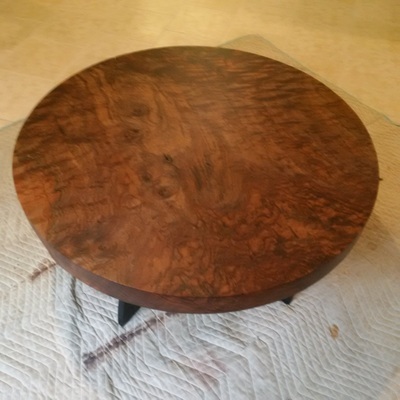 The last two photos show the 36" round finished into a table with steel base.